• Communication, encoding messages, supporting information and simplifying the reading of the space with a cognitive, aesthetic and symbolic role. •Ambiance, redefines the image and identity and contributes to the overall aesthetic quality of the area by acting actively on the meaning of “urban beautification”, “pleasantness” and “amenity” . • Social Connection, the city returns to collective use and enjoyment to a participatory interactive, immersive and experiential phenomena; rebuild relations of trust between individuals and from the space city . Participation in the project view of the city can be “mediated” or include the use of questionnaires, interviews and collection mechanisms of perceptions, emotions, and evaluations of people: an example is ELSE, Experience of Lighting Sustainability in the Environment. 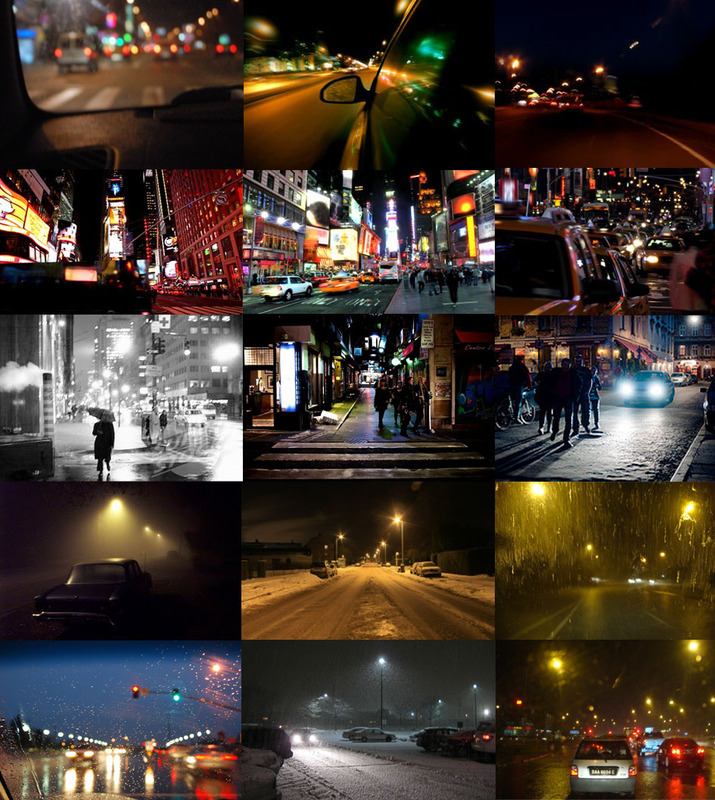 This is a first experiment in social research whose goal is to understand the social and experiential impact of light in the city, or what are the visual, perceptual and emotional effect enhanced by different several lighting scenarios of urban space and how they act on the environmental experience of an individual or on his behavior and his relationship to the cognitive space. ELSE questions the relationship between man, environment and urban lighting in order to understand how light can not only change the space and human behavior, but define new expectations and values in relation to urban space: in short, create a new culture of the city. ELSE investigates the new possible emerging strategies of human scale lighting of the city: a stimulating and socially enhancing kind of lighting not only can define a new set of behaviors, such as the incentive to get out and meet people in the nocturnal city, but also it can create a new dialectical relationship between man and the city. 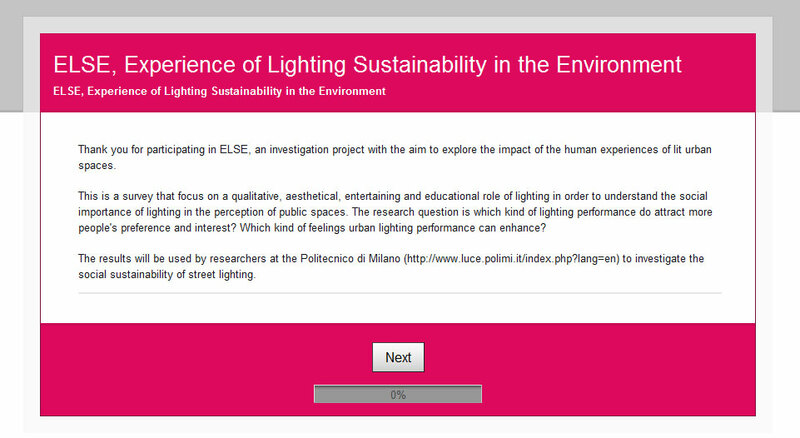 The research, in the form of a questionnaire to a wide international audience is available online  and wants to include evaluation and expectation with respect to the performance of public lighting: what are the preferred scenarios and considered more attractive by observers and what attributes enlightenment are associated with them? How can you define the actual sustainability of urban lighting? Whether the topic of research is the method of investigation have raised interest and a good participation especially at the national scale: a first partial processing of data of about 150 observers, there is a general interest in the socio-cultural value of illumination of the city, an increasing need for interaction, participation and socialization through lighting settings that are not only functional but are less structured and more aimed to “customize” and humanize the city through energy-efficient systems. The research about the contemporary lighting of the city questions the need of a lighting design process customized for the city shaped by the people living in the spaces, and not for the one designed according to the directives of the authorities and regulations: what new knowledge, tools and methods are required by the designer of the light? According to the several scholars, the time is mature to start a new reflective approach toward lighting projects starting from the observation of the city through the eyes of its inhabitants, comprehending the character and investigating the perceived and actual needs of urban microenvironments in order to promote innovative design through a shared and plural, interdisciplinary and active process around the theme of light. A social and participatory approach to design is certainly more complex and challenging than a simple process of lighting design without any contribution from the bottom side of the city. Conversely, there are several easier and participative ways that can be used in order to achieve a mediate participation through virtual tools such as ELSE. This first approach of investigation provides a preliminary base of discussion of some aspects of lighting that are particularly significant and interesting in the experience of people in order to deep the reflection for a more complete mapping of the urban night-light experience. 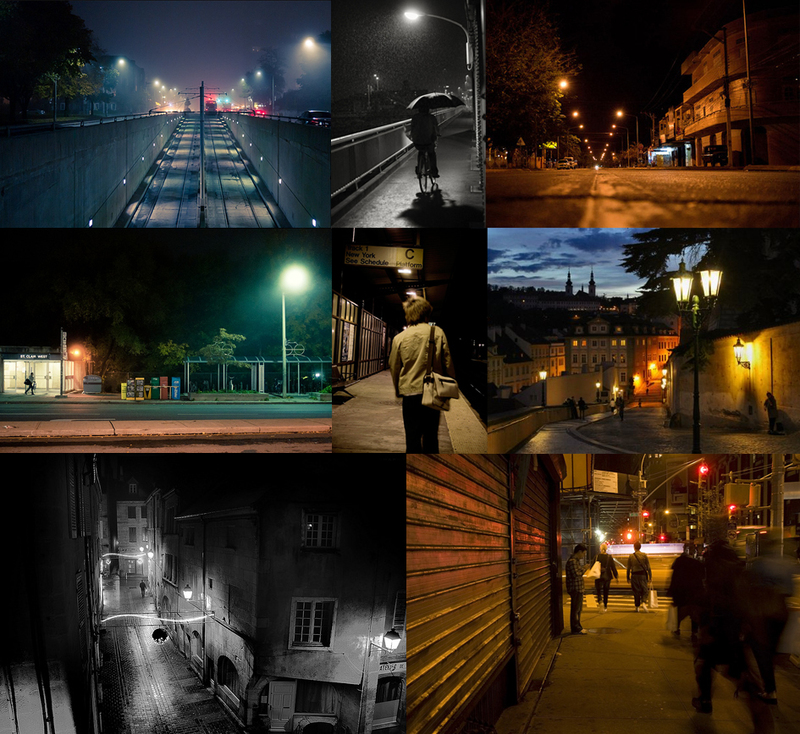 This approach, useful for the construction of a set of guidelines or design criteria, needs a second deeper participative and direct experience of urban lighting , inviting designers, citizens, public administrations to take an active part in design a more sustainable and social related urban lighting.